Nu ook Tinder voor koeien: Tudder (geen grap). So you think the dating scene is like a meat market? Well, wait till you hear about the latest matchmaking app. Following the example of Tinder, UK farming start-up Hectare has launched its own equivalent for livestock and called it Tudder. The app features data profiles of animals from 42,000 UK farms in an effort to help farmers find the perfect breeding partner for their cattle. Farmers can view pictures of bulls or cows and swipe right to show interest. Hectare Agritech, which also runs online grain marketplace Graindex, says its aim is “reinventing farm trading – and making farmers’ lives easier”. It says it has raised more than £3m from investors and organisations, including grant funding from government schemes, while tennis player Andy Murray is listed as one of its investors. 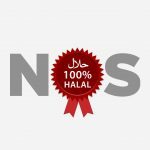 Halalzender NOS faalde op Teletekst, geeft falen toe: ‘We zaten niet goed’. 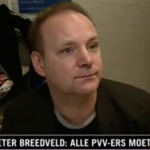 Martin Bosma legt emigratie Peter Breedveld uit.